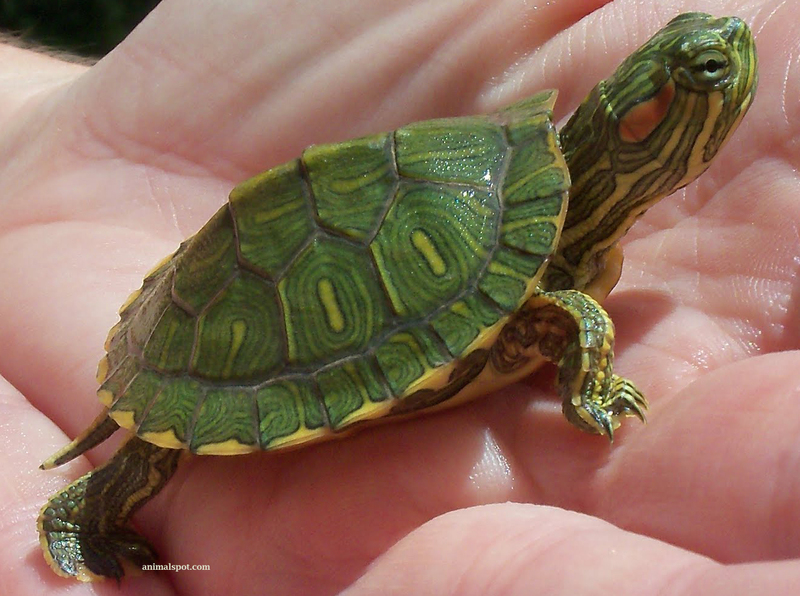 While this tiny little turtle may seem like the perfect pet – think again! The red-eared slider is a hardy and popular aquarium pet in the United States. It gets its name from the broad red stripes behind each eye. While these tiny turtles are just over four inches long when purchased as a pet – adults may triple in size, reaching up to twelve inches in length. Unfortunately, pet owners are often unaware of the changes that will happen to their tiny turtle, and can become overwhelmed by its size, demands for food, and its longevity. Not only can the adult red-eared slider reach twelve inches in length – it may also live to be twenty years of age, and over. It is not unusual for a red-eared slider to live to be 30, 40, even 50 years. So that tiny little turtle purchased today as a present for a child will, twenty years from now, be sending that same child off to college, or possibly even greeting them home for spring break! The very sad and serious repercussion of poorly planned and/or uninformed pet choices, such as the red-eared slider, is often disposal. All-to-often, red-eared sliders are either killed or released into the wild where the pet becomes predator, and possibly prey. 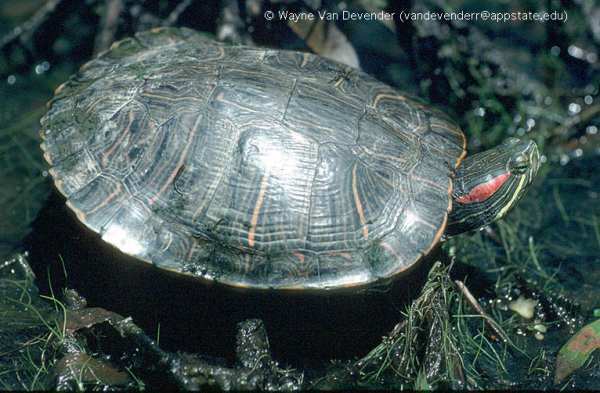 The red-eared slider can easily take over native habitats, food sources, basking sites, and over-compete with native turtle species like the red-bellied turtle, a threatened species in Pennsylvania. 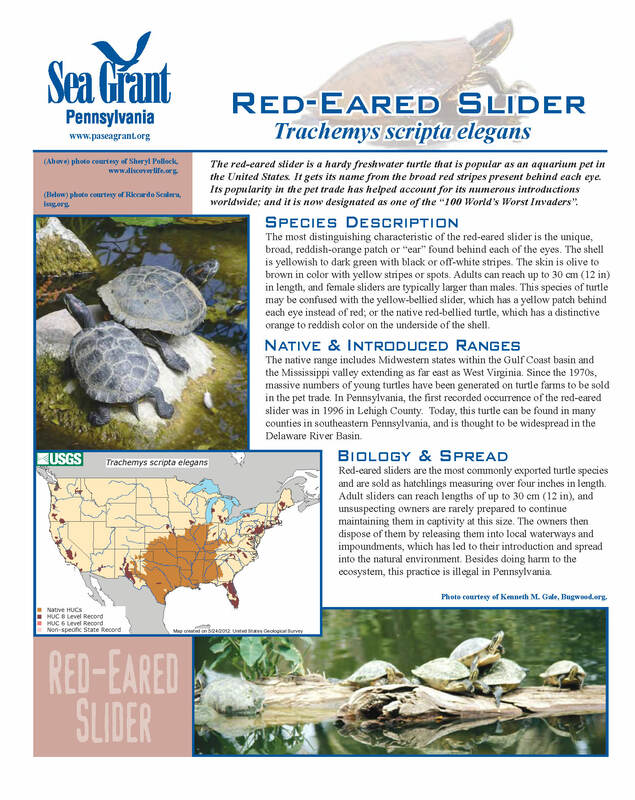 Through a grant from the United States Fish and Wildlife Service, Pennsylvania Sea Grant has embarked on a two-year effort to control and manage red-eared sliders in Presque Isle State Park, in Erie, PA.
Pennsylvania Sea Grant is capturing, removing, cataloging, and eradicating the red-eared sliders. 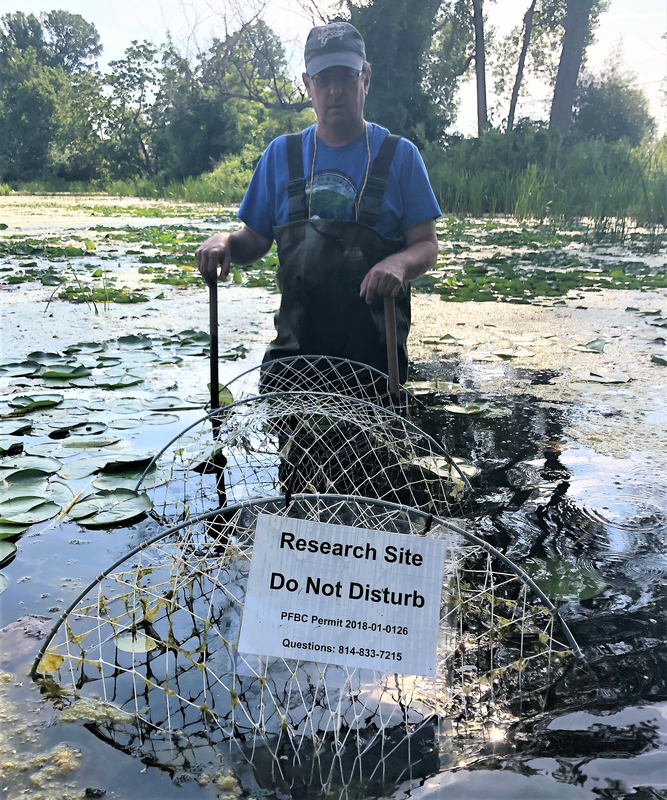 Trapping for sliders is occurring at Presque Isle State Park, at locations where Red-eared sliders have been reported. Humane traps will be set and recovered daily for a period of approximately sixty days over a six-month period, ending in early fall 2018 and resuming in spring 2019. 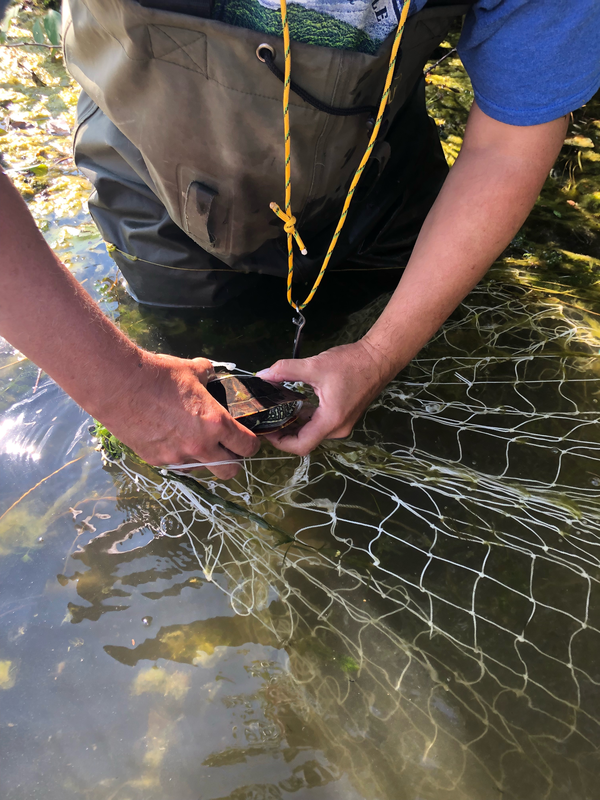 These efforts will help native turtles - there are seven known native species - and other aquatic species live and thrive. All capture, removal and eradication activities are done humanely and with proper training and certification. This adult female was found with a fishing hook in her mouth. She is a clear reminder of why aquarium pets should not be released into the wild – they are dangerous to the native species, and if released they may end up suffering. 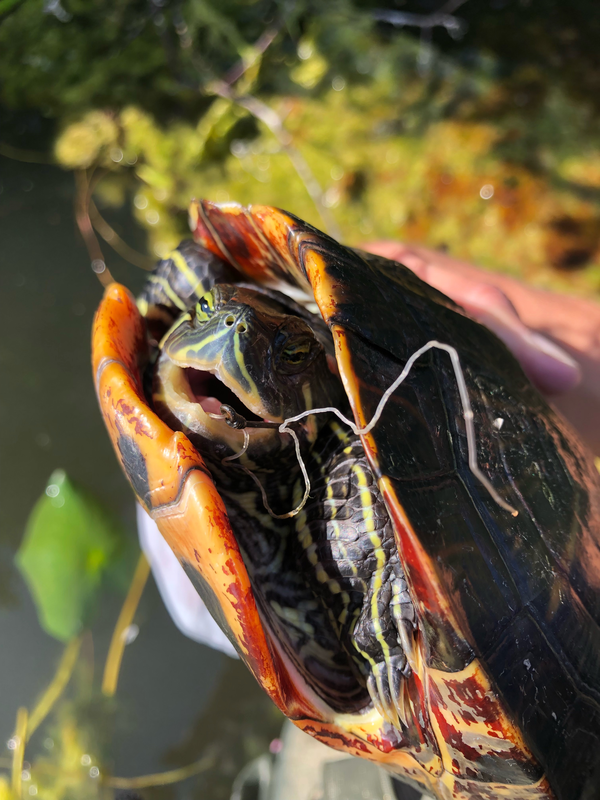 An integral part of the effort includes a public outreach and education campaign to keep red-eared sliders from meeting the same fate as this female. Visitors to the Tom Ridge Environmental Center in Erie can pick up outreach postcards (see below) to learn more and to help spot sliders. This project mirrors similar efforts completed in the Cleveland Metroparks system in Ohio, and supports the Great Lakes Restoration Initiative Action Plan priority to implement control projects for invasive species, and the Pennsylvania AIS Management Plan Objective 6 (when feasible control and eradicate established aquatic invasive species that have significant impacts in Pennsylvania). 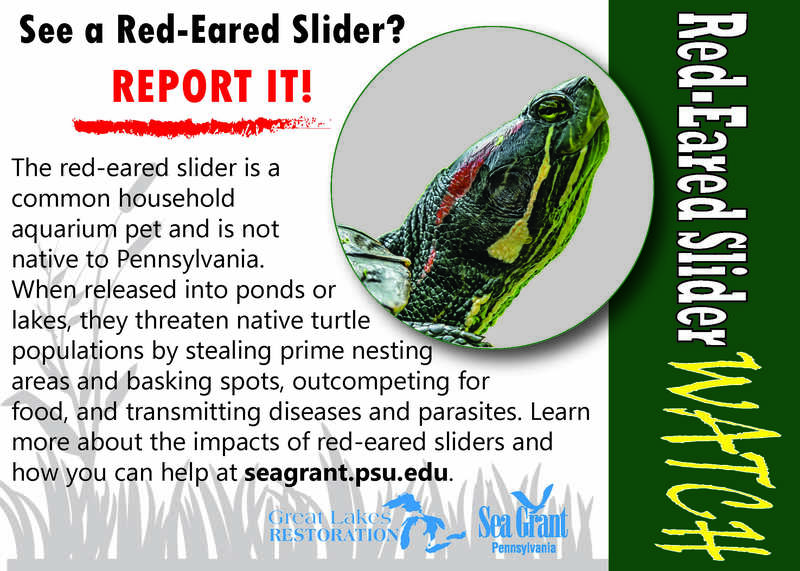 Pennsylvania Sea Grant will continue to update the information, photos, and progress, including information for red-eared slider owners who may be looking for options. There are several rescues in Pennsylvania who can help re-home these pets – a simple ‘google’ search can get the process started. Contact Sara Stahlman or Mark Lethaby for more information. 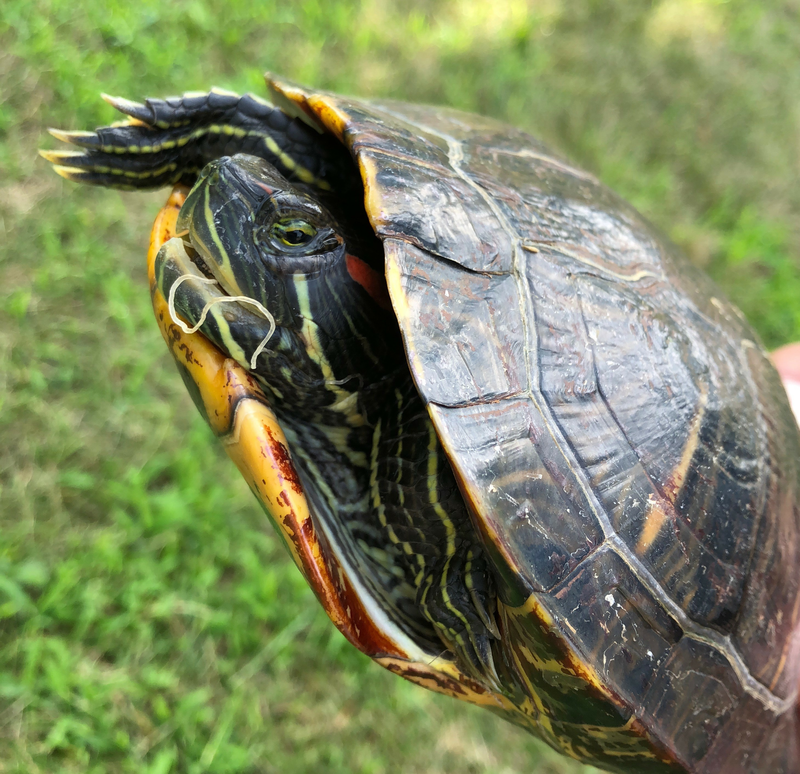 If you see a red-eared slider in Presque Isle State Park, report it! PA Sea Grant outreach & education postcard - Download & ‘share’ with your friends on social media!